^ 1.0 1.1 Population Statistics. Bath and North East Somerset District Council. [25 January 2011]. （原始内容存档于2012年5月13日）. ^ 2.0 2.1 The Roman Baths. Somerset Tourist Guide. [2007-11-01]. （原始内容存档于2010-12-05）. ^ A Corpus of Writing-Tablets from Roman Britain. Centre for the Study of Ancient Documents, Oxford. [2007-12-08]. ^ City of Bath World Heritage Site Management Plan. Bath and North East Somerset. [2007-11-01]. （原始内容存档于2007-06-14）. ^ The History of Plumbing - Roman and English Legacy. Plumbing World. [2007-11-01]. （原始内容存档于2007-11-11）. 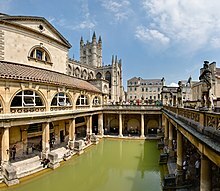 ^ The Roman Baths. TimeTravel Britain. [2009-11-21]. ^ Alfreds Borough. Bath Past. [2007-12-12]. ^ The Roman Baths. BirminghamUk.com. [2007-11-01]. ^ Dobunni to Hwicce. Bath past. [2007-12-08]. ^ 11.0 11.1 History of bath england, roman bath history. My England Travel Guide. [2007-12-08]. ^ Timeline Bath. Time Travel Britain. [2009-11-21]. ^ Bath Abbey. Robert Poliquin's Music and Musicians. Quebec University. [2007-09-18]. ^ Alfreds Borough. Bath Past. [2007-12-08]. ^ Edgar the Peaceful. 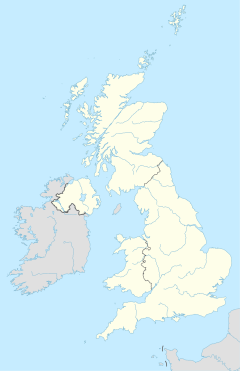 English Monarchs – Kings and Queens of England. [2007-12-08]. ^ South West England: climate. Met Office. [14 March 2010]. 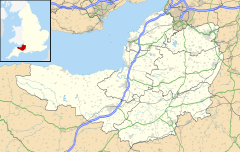 ^ 17.0 17.1 Bath and North East Somerset UA 2001 Census. National Statistics. [9 December 2007]. （原始内容存档于2007年11月2日）. ^ 1 to 20 Lansdown Crescent. Images of England. [14 November 2006]. 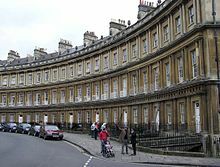 ^ Royal Crescent. Images of England. [14 November 2006]. 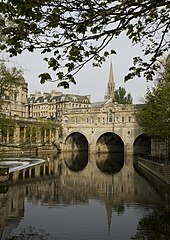 ^ Pulteney Bridge. Images of England. [14 November 2006]. ^ Abbey Church. Images of England. [14 November 2006]. ^ Victoria Art Gallery. Images of England. [15 November 2006]. ^ 23.0 23.1 23.2 23.3 The story so far. Bath Rugby. [17 September 2010]. （原始内容存档于2010年3月29日）. ^ Paul Tisdale. Team Bath. [21 November 2009]. ^ Bath City. Football Club History Database. [9 December 2007]. （原始内容存档于2007年12月13日）. ^ Bath Croquet Club. Bath Croquet Club. [9 December 2007]. （原始内容存档于2007年11月25日）. ^ 27.0 27.1 27.2 Bath in Focus. Business Matters. [12 December 2007]. （原始内容存档于2012年3月1日）. ^ Economic Profile. Bath and North East Somerset. [21 November 2009]. （原始内容 (PDF)存档于2012年3月1日）. ^ Trinity Presbyterian Church (Countess of Huntingdon's Chapel) and Chapel House, forecourt wall, gatepiers and gates. Images of England. [2 October 2007]. ^ AA-listed five-star hotels. Caterer Search. [21 November 2009]. ^ 31.0 31.1 A Guide to the Twinning Links within Bath & North East Somerset. 巴斯-索美塞特單一管理區官方網站. [2012年5月18日]. （原始内容存档于2010年11月16日） （英语）.